I’m a big Charlotte Tilbury fan, that’s no secret. I love the eyeshadow palettes, lip products and I swear by the Magic Foundation. I’ve got quite a sizeable collection of products from the brand and I’m not one to shy away from buying more. 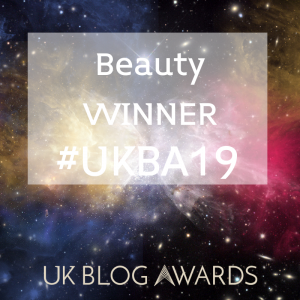 It’s no secret that Charlotte Tilbury products come with a price tag, however for me, you get what you pay for, and the performance of the products justifies the price – every time. Some of the products are absolute staples in my collection, so when I heard about the Instant Eye Palette, I knew from the get-go I’d be investing in it. Plus, eyeshadow palettes are my weakness and I can’t resist them! This week there was a pre-sale for 24 hours only – meaning if you were keen, then you could buy your Instant Eye Palette before it’s general release next month (mid October.) So as I have done for several other palettes this year (I told you I couldn’t resist) I set my alarm for the exact time the palette released and made my purchase. Now, I’m not going to lie, I did know it was going to be £60 before I bought it. But as I’m in the process of launching a business, I really should be watching the pennies. For the first time in ages I felt a tad guilty about buying this as soon as I clicked ‘confirm’. As a true make-up addict, this never usually happens, but £60 for a 12 shade palette is one of the more expensive palettes I’ve bought. So I was hoping for big things to quiet that little voice in my ear. But let’s remember that the Charlotte Tilbury Eyeshadow Quads are £39 each, so technically a 12 shade palette compared to that is quite good. So yes, the palette itself is £60 for 12 different shades. The theme of it is to give you everything you need to take your eye look from ‘day to desk, to date, to disco’ – which is exactly how the palette is split. Inside the rose gold compact there’s four different sections for each ‘look’ – Day Eye, Desk Eye, Date Eye and Disco Eye. Each look has three shades which have a mixture of matte shades and shimmer/satin finishes. 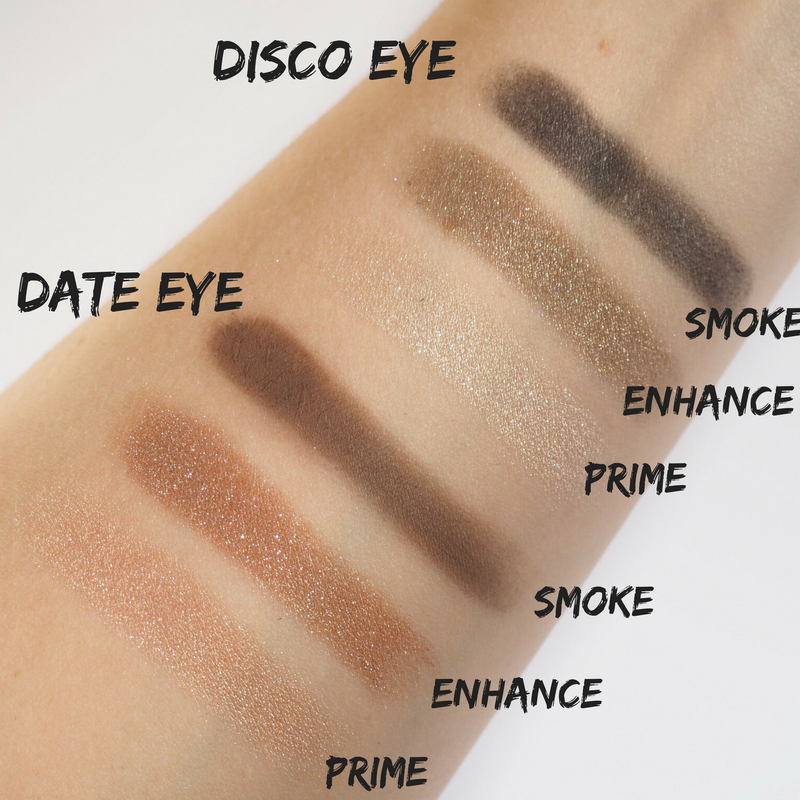 On first look, the first three looks are all on a more neutral, golden colour spectrum with the final look (Disco eye) being slightly cooler, for a more smokey eye style. 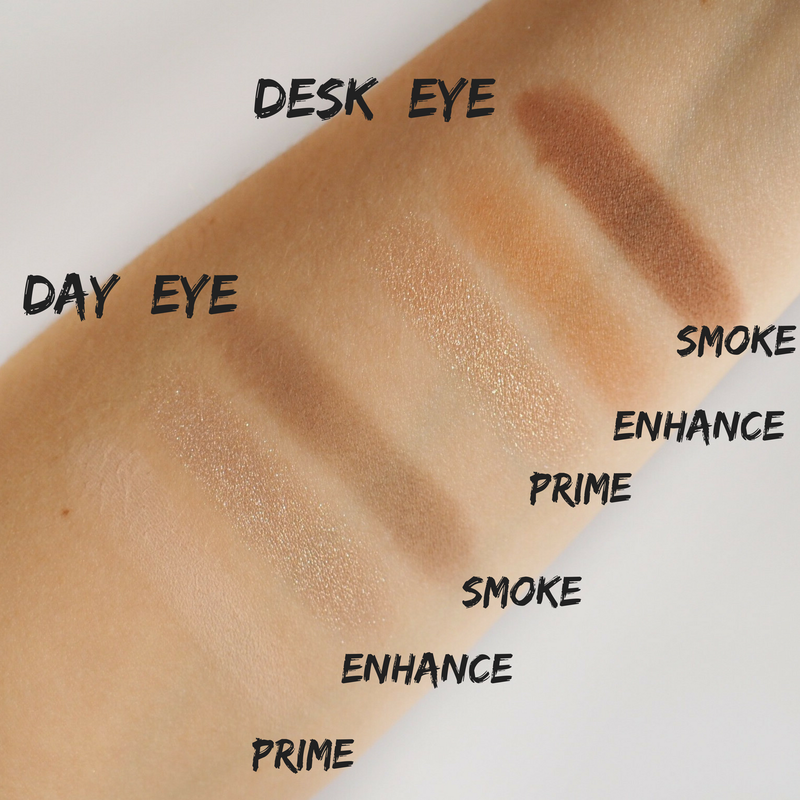 The shades themselves aren’t named but each ‘look’ has the same pattern – one shade to prime, one to enhance and one to smoke. Basically one shade for all over your lid, one for the crease and outer edge and then one to pop over the top to enhance the look. The colours are all really useable and the one thing I love about Charlotte Tilbury eyeshadows is how perfectly you can use them for both day and night looks. 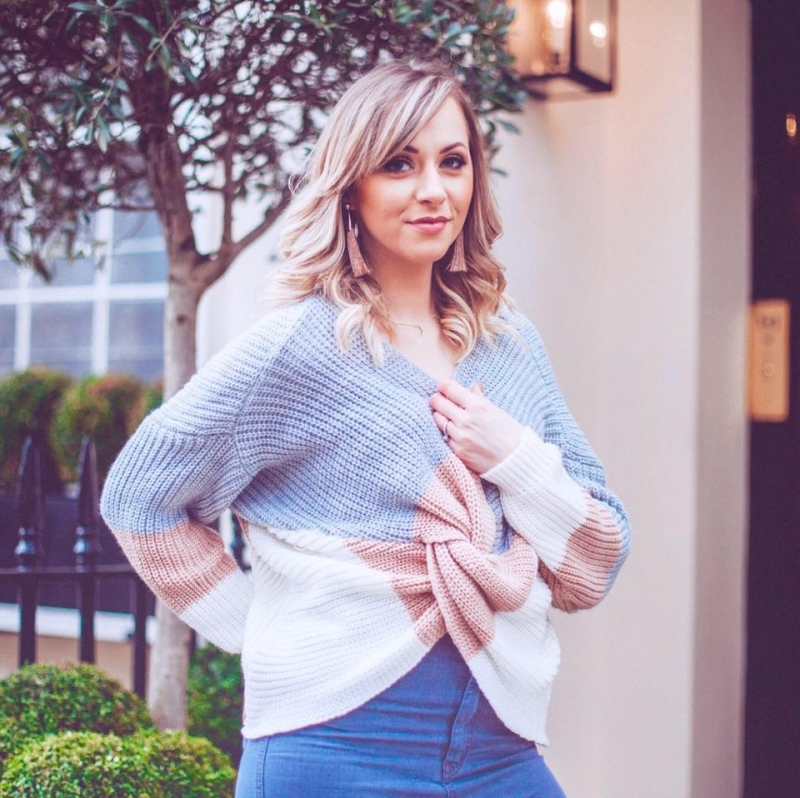 She absolutely nails the neutral spectrum with essential colours that work together – with a more glitzy shadow to create more of a pop when needed. There’s nothing extreme with her palettes, but rather the everyday shades that any skin tone can pull off. She lets them do all the talking. It’s no wonder the Charlotte Tilbury palettes in my collection are some of my most reached for – they literally work for every occasion from the barely there looks I go for when I’m in a rush, to the night-out smokey eye. This palette complete embodies everything I love about Charlotte Tilbury eyeshadows and I can’t think of one occasion it wouldn’t work for. So, pigmentation wise – I’m impressed with all-bar-one of the shadows. The very first one in the palette is the trademark pale cream that almost all palettes have. This one is very weak – in fact, I had to physically scratch the top layer of the shadow off in order to even get enough colour for the swatch. (Hence why you can barely see it!) After this though, the shadows didn’t disappoint. The glittery and shimmery shades are stunning with really high colour payoff. They have a depth to the colour and a high amount of shimmer/glitter to make each one pop. The matte shades are good too – they require more product to get a rich and deep pigmentation, but I think that’s because they’re designed to offer light payoff for a lighter eye look. The colour itself is consistent when used so it shows they’re good quality shadows. There’s no fallout at all from the glittery shades, and barely any from the mattes – this is because the eyeshadows are a powdery texture but without being too light. So you don’t have to worry about fallout. I really love the variations of shades, and have no disappointment about them whatsoever. I’ll likely use Date Eye and Disco Eye the most but Desk Eye won’t be far behind. So for £60 what are my final thoughts? Well, each shadow works out at £5 each, so it’s not a cheap palette. But that said, I rely on Charlotte Tilbry eyeshadows to give me the neutral eye looks I love with a pop of sparkle, and this palette does just that. (I’m a glitter and shimmer girl, not really often wearing only matte looks.) The shades in the palette lend themselves to everyday wear and I know I’m going to be reaching for this a lot. Tilbury describes the palette as ‘the little black dress’ of palettes – and that’s exactly what it is – the essential that everyone needs in their bag. Yes it’s pricey for a 12 shade palette, however if you love Charlotte Tilbury products then I highly recommend splurging, you won’t be disappointed. Get yours here when it goes on general release next month. Previous Post Can Powder Foundation Match Up To Liquid?